Shorter days give way to longer, cooler nights as we begin to align with the excitement of the fast approaching fall events of Healing Quantum-Lee! This newsletter is packed full of updates, announcements and reminders which helps us stay in contact with you as we share our ambitious ideas, recommendations and schedule. We’ve heard countless stories, and wonderful compliments on how being a part of the Healing Quantum-Lee community has helped change lives. We take great pride and a very down to earth holistic approach in introducing Complementary & Alternative Modalities and the use of Energy Medicine in your everyday life. The classes and workshops Carol presents will give you an incredible opportunity to understand a new language with some hard subjects to discuss. Working with the unseen, esoteric healing, auras, angels, spirit guides, ghosts, spiritual loved ones and hauntings has been a stunning adventure but not without struggles. Let Carol and her experience help enhance your understanding of the Field of Energy Medicine and how your words and dialogue can make a lasting impression on how people see you and your credibility. If you’re ready to make a change, pursue your true calling and begin living a life where every day feeds your soul’s purpose then the workshops and event and consultations we present at Healing Quantum-Lee will help you regain the keys to success. Read more about Carol’s expertise in Energy Medicine and connection to God and his Angels and Jason’s exciting spiritual journey as they now work in tandem as friends, partners in business and colleagues to accelerate the conscious awareness that working with Love will manifest unity on this planet. 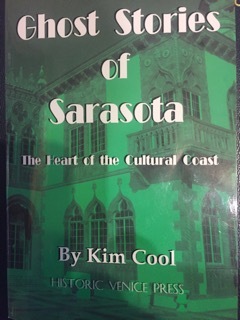 I am a published Spiritual Medium, Consultant and will share my exciting story of being a part of séance at the Ca’ d’Zan, John and Mable Ringling mansion in Sarasota, Florida. In 2003 I met Kim Cool an author of Ghost stories and journalist for the Venice Godlier. The two lengthiest tales in this book grew out of that private after hours visit to the Ca’ d’Zan.